Visitors are thrilled with the American Museum of Natural History off Central Park West. Whether you're exploring the interactive exhibits on the land, the sea or outer space; user reviews take on a common theme. This museum is incredible. Even the cafeteria and gift shop are worth your notice. There are approximately 32 million artifacts inside, spread across four city blocks, 25 buildings and through 45 exhibition halls, so don't even plan on seeing all there is to see in one day. The Rose Center for Earth and Space is a particular favorite, but you should also plan on visiting the dinosaurs, the Hall of the Universe and the Butterfly Conservatory (on display from October through May). The American Museum of Natural History is perpetually crowded, but you'll face fewer people if you visit during a weekday in the late winter or spring. Its open daily from 10 a.m. until 5:45 p.m., and famous for its "suggested" admission prices: $19 for adults, $14.50 for seniors and students with an ID and $10.50 for children age 2 through 12. Some recent museum-goers chose to pay nothing, some paid $10 to enter, while others splurged with $20. Take the B or C train to 81st Street or the 1 to 79th Street to get there, and bookmark the official website before you go. What is the price to get into the Museum of Natural history? For general info & current exhibition schedules call 212-769-5100 (24 hours a day, 7 days a week) There is a suggested admission. 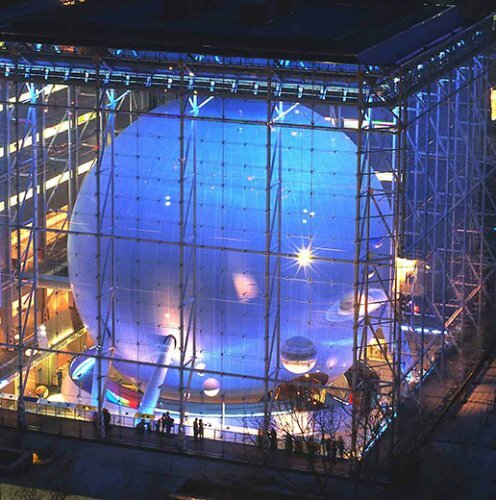 Suggested admission price to the Museum of Natural History & Rose Center for Earth & Space is $15 for adults & $8.50 for children.